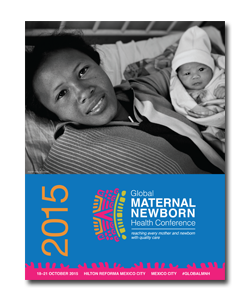 Save the date for the Global Maternal Newborn Health Conference 2015! 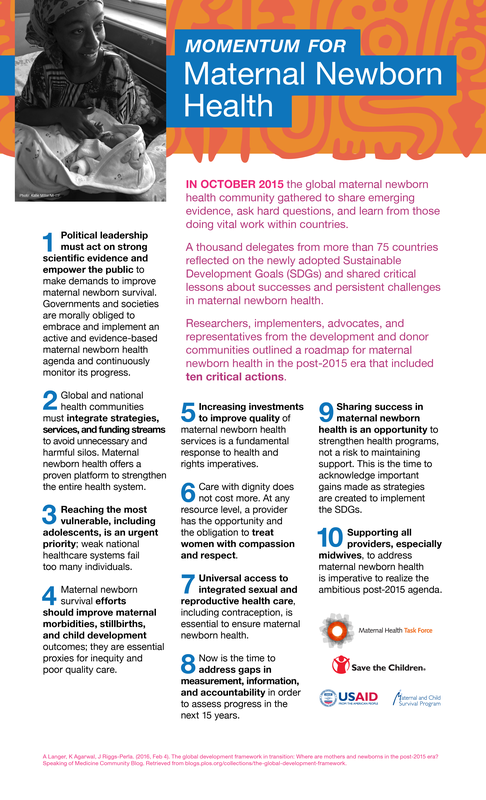 As countries around the world prepare for a new set of ambitious targets to end preventable deaths, the maternal and newborn health communities have an ideal opportunity to consider successes and challenges, share lessons learned and technical updates, and set priorities for the way forward. The technical conference will focus on discussing programs, policies, research, and advocacy to support achieving effective and sustainable coverage of maternal and newborn interventions at scale in countries and regions of highest need, and will continue to galvanize momentum and commitment to mothers and newborns on the global agenda. Mexico will provide a wonderful venue, as many lessons can be learned from its recognized leadership in maternal and newborn health in Latin America and worldwide, particularly in addressing issues of equity within and across population groups. For updates on registration and the abstract submission process, please sign up for the conference mailing list. This entry was posted in News on December 8, 2014 by David Marshall.